A new campaign to raise much needed funds for the ongoing health care of Cardiacs founder Tim Smith was launched recently and has already met 60% of the amount through donations. The JustGiving campaign was initially set up to raise £40,000 but quickly exceeded that amount. The page is now aiming to raise £100,000 - enough to give Smith home care for a year, plus a much needed shot at recuperation - and over half that amount has been donated already. 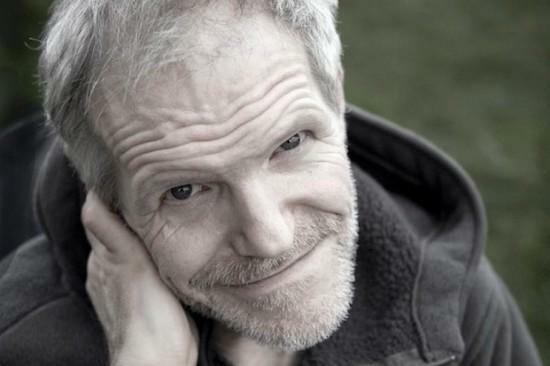 The Cardiacs, Sea Nymphs and Spratleys’ Japs main man, Tim Smith suffered a cardiac arrest in 2008, which left him with severe brain damage and a condition called dystonia. Although Smith remains entirely himself inside, the hypoxic brain damage caused by lack of oxygen during the period that his heart had stopped, has massively impaired his dexterity and ability to speak and also causes painful muscle spasms. Having spent much of the last ten years in the care of a neurological facility, funding restrictions have meant that the rehabilitative aspect of his treatment has been severely limited. Faced with the further downgrading of his already restrictive funding, friends and family have set up a JustGiving page in the hope of raising £100,000 towards his care. Since the facility in which he resides was bought by the Raphael Hospital Group charity, new hope has been offered to improve Smith’s day-to-day life. As even a slight recovery in Smith’s movement and speech would permit him to make music again, such a change would make an enormous difference to both the man and his fans. “I’ve got the luck of the worm that never dies. After all, who would be as lucky as I to have a bunch of people who have just waited ten years for news of my recovery. In my book, that show of faith would be the fattest lump of faith what anyone could endure. "Some days I can cope with it, if I’m mentally able to. I’ve not even told the kidz which I’m pretty ashamed of and all i can say is that I’m sorry. I had no idea how much I actually meant to all these incredible people and have been trying to know what they mean to me. This statement was originally intended as the opening of an interview for this site, but has since evolved into a larger project, which will eventually culminate in an official Cardiacs book. As reported in Monday’s article in The i Smith’s music has been a source of inspiration to countless other musicians, including Radiohead, Blur, Napalm Death, JG Thirlwell, and Faith No More. The Quietus would like to wish Tim Smith all the luck in the world with his recovery. You can donate here. And there is a more detailed account of his illness and what is being done about it here.